Hyundai Motors recently presented its first walking car concept, the Elevate, at the recent Consumer Electronics Show in Las Vegas. The Elevate Concept will answer the need for efficient, rapid, and resilient transportation for disaster assistance. 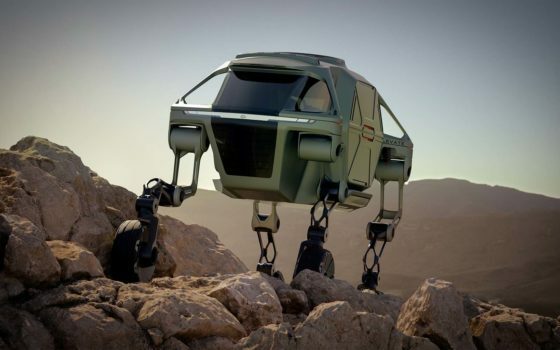 This walking car concept is Hyundai’s first vehicle with moveable legs and has technology found in electric cars and robots, allowing it to traverse terrain beyond the limitations of even the most capable off-road vehicle. 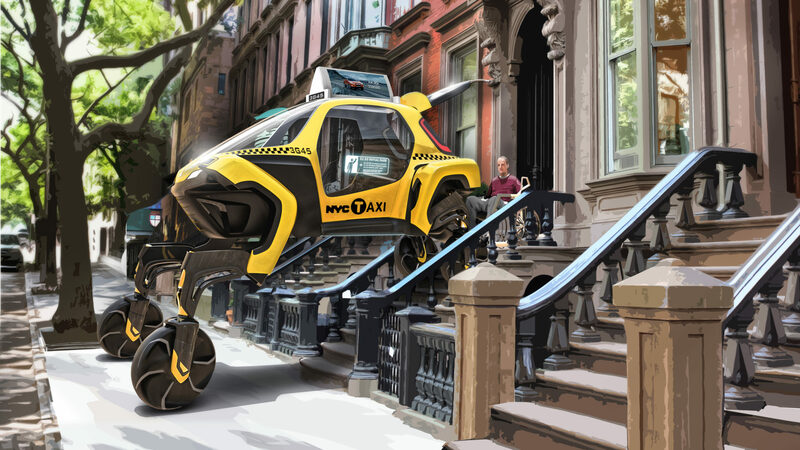 The Elevate Concept can drive to the scene and climb right over fallen debris or crumbled concrete. “This technology goes well beyond emergency situations. People living with disabilities worldwide that don’t have access to an ADA ramp could hail an autonomous Hyundai Elevate that could walk up to their front door, level itself, and allow their wheelchair to roll right in. The possibilities are limitless,” said John Suh, vice president and head of Hyundai Cradle. The robotic leg architecture has five degrees of freedom plus wheel hub propulsion motors and is enabled by the latest in electric actuator technology. This design is uniquely capable of both mammalian and reptilian walking gaits, allowing it to move in any direction. The legs also fold up into a stowed drive-mode, where power to the joints is cut, and the use of an integrated passive suspension system maximizes battery efficiency. The combination of wheeled motion with articulating legs provides a new paradigm of mobility by enabling faster walking speeds, unique dynamic driving postures and torsional control at the end of each leg.